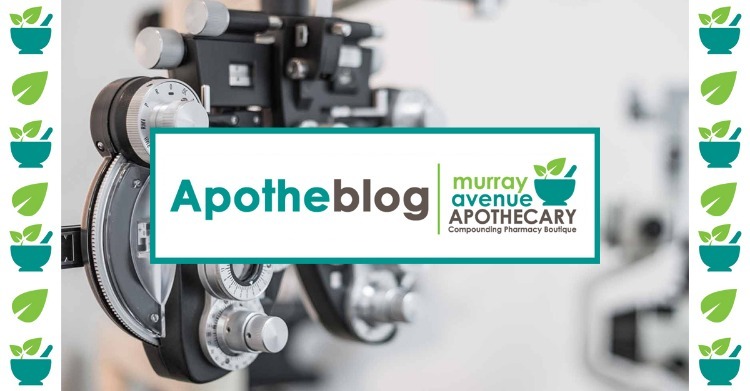 I am taking a break from my monthly wellness column for Murray Avenue Apothecary to discuss two fine gentleman who have provided the professional eyecare and eyewear needs of our community since 1980. Jimmy Carter was president of the United States when the two brothers decided to open their own Optical shop, 20/20 Opticians. My husband, Barry Merenstein, Optician, was 24 years old and his brother, my brother-in-law, Evan Merenstein, Optician, was 28 years old. After 38 years of service and dedication, the Merenstein brothers are passing on their legacy to two young and promising optometrists; keeping family business alive in Greenfield. The Merenstein brothers saw their little neighborhood shop rise to the highest volume of any individual optical shop in the tri-state area for the past four decades! The thing many admire most about these two Opticians is not necessarily their success or their thriving business, but rather, how much these two gentlemen served their community and various other charities. The brothers have never said no to a church or synagogue in the area in need of help. Little League baseball teams, youth football, and basketball teams were often sponsored by 20/20 Opticians. 20/20 Opticians welcomed all people, from hard working blue-collar men and women to executives from companies like Google, and everybody was treated with the same kindness and care. In an age of impersonal big box chain stores, these brothers ran their business by treating their clients like friends. Due to many referrals from local universities, 20/20 Opticians had many clients who made Pittsburgh their home after arriving from all parts of the globe and enjoying the friendliness of this Pittsburgh small business. The brothers had an unwritten rule: No child who needed eyeglasses, whose parents could not afford them, was ever turned away. If kids in the neighborhood or surrounding areas needed new eyeglasses or an eyeglass repair the brothers provided it and no questions were asked. Several concerned teachers from neighboring city schools also were aware that some of their students needed professional eyewear services. These were children of parents ranging from those with financial difficulty to those nearly in poverty. They too, were never turned down. Evan and Barry had a philosophy, “Our profession has been so rewarding to us, if someone needed our services, and could not afford them, we would never say no. We believe in good Karma and we are just doing things the way we were raised”. Their kindness and generosity were done with little or no fanfare. Eventually several teachers and community leaders contacted government leaders to tell them of the good deeds their neighbors from 20/20 Opticians were doing in the community. Soon they were awarded the Greenfield Service Award in recognition of their efforts on behalf of their community. Next, Allegheny County Office of City Council awarded them a Certificate of Achievement for free replacement eyewear to local fire victims, working with teachers in the “Sights for Students” program, and dispensing RX eyeglasses to unemployed residents free of charge. This Certificate of Achievement Award was signed and sponsored by County Council President Rich Fitzgerald. Soon after that, the brothers received a Pittsburgh City Council Proclamation and Service Award signed by City Council President Douglas Shields. Finally, in recognition of collection of eyewear for victims of Hurricane Katrina, and collection of eyewear for third world nations in desperate need of eyeglasses and related materials, the United States House of Congress gave them an award in recognition of these amazing charitable efforts, signed by Congressman Mike Doyle. The Merenstein brothers, along with their four-decade professional associate and friend, Dr. Zarky Rudavsky have very difficult shoes to fill. The three of them are confident that the new owners, Dr. Meghan Sullivan and Dr. Matt Shirley, will continue to see 20/20 Opticians thrive under their new name 20/20 Vision Care, and new energetic young ownership. Many of the wonderful staff of 20/20 Opticians will stay on with the new owners. Long time clients can expect the same quality service, fair pricing, and most importantly two wonderful new members of our community of family owned businesses; including Murray Avenue Apothecary. On behalf of my brother-in-law Evan Merenstein and my husband Barry Merenstein, I’d like to thank you for 38 years of loyalty and support of their small business. Here’s to 38 more years of a thriving neighborhood business! Stop by and say “Hello” and welcome the new Optometrists to Greenfield! Congratulations Barry and Evan and the whole 20/20 team!